Data obtained from autopsy studies as well as noninvasive imaging techniques have demonstrated that end-organ changes occur in children and adolescents with mild to moderate elevations in blood pressure. These chronic elevations in blood pressure in pediatric patients induce changes in left atrial as well as left ventricular structure. The cardiac changes occur in parallel with alterations in the vascular system and subsequent development of atherosclerosis. Subclinical changes in renal function and microalbumin excretion are also noted in these patients. Mild to moderate elevations in blood pressure also impact cognitive functioning in children. The adverse effects of severe hypertension in children and adolescents on these organ systems are also well-known. 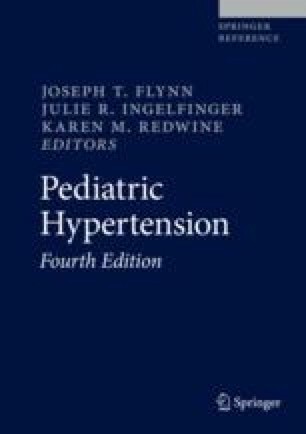 Although additional longitudinal studies are required to elucidate the significance of these alterations, children with elevated blood pressures must be identified and treated appropriately in order to improve their long-term outcomes.